Are you a one percenter who loves movies, but doesn’t love sharing a theater experience of dirty seats and sticky floors with the unwashed masses? Then Red Carpet Home Cinema is for you! You can see first-run, genuine (non-bootleg) blockbuster Hollywood movies in the comfort of your very own plush home theater for the positively pedestrian sum of a mere $3,000! And you can absolutely see them on the same date & time they are in commercial theaters! Hurrah! While they may not be the first to conceive of such a service, Fred Rosen and golfing buddy Dan Fellman surely look like they may be the only team to finally pull it off. Rosen, the former master of Ticketmaster, and Fellman, the former president of Domestic Distribution at Warner Brothers (and before that, founder and President of American Theater Management in New York City), had the connections and decades of relationships to pull off what has seemed impossible to others. But others have surely tried, including none other than Best Buy, who offered a service back in 2013 that charged $500 per movie on top of a required additional investment of $35,000 in hardware and setup costs. 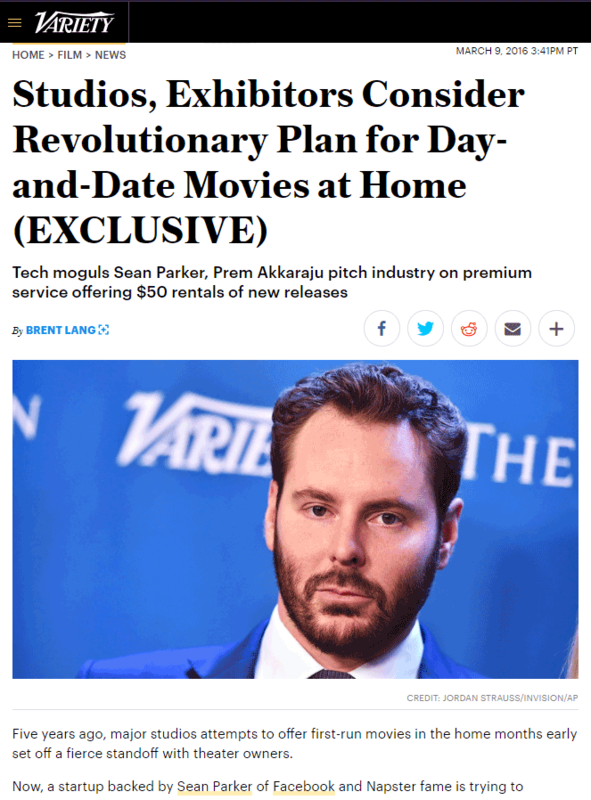 And then there was Screening Room, a service launched by none other than Sean Parker (of Napster and Facebook fame), which offered a similar concept a few years later that only required an investment of $150 for the box and $50 per 48-hour rental of a first-run movie. What happened to these earlier attempts? Basically, industry pushback killed these earlier efforts to bring first-run movies on a day & date basis with the initial theater release. First of all, Hollywood is terrified of any possibility of piracy…opening up their movies to new distribution methods, in their minds, is like opening up Pandora’s box. Also, movie theater chains are a powerful group that holds a lot of sway over Hollywood. Theater owners have demanded and received a 90-day window of exclusivity on all new movies before they are allowed to appear on commercial cable services or in any other form of distribution. As is typically the case with our industry, we think the solution is simple and the technology is readily available. But when we knock on Hollywood’s door, we learn that they are just not anxious to jump into anything that might enrage theater owners…their primary market. How does Red Carpet Home Cinema get past these challenges? Well first, Rosen and Fellman carefully crafted their service which they say is a highly targeted niche offering. 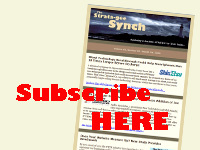 They are targeting a very select and limited market segment – with a potential customer base of carefully selected and vetted high net-worth individuals. Kind of like a private club, if you will. There is a rigorous application process that involves assessment by real human beings. Participants must provide a credit card with a minimum credit limit of $50,000. And they must purchase a $15,000 box that is professionally installed (RCHC sets this up) that contains a boatload of piracy protections. The studios can determine the rental pricing of each release, and title-by-title pricing will fluctuate – higher for exciting blockbusters, lower for sappy dramas. Rentals, typically between $1,500-$3,000, are for up to two viewings of a title in one 36-hour period. Clearly, the company has bent over backwards to address the concerns of the studios. As a result, Red Carpet has signed deals with Warner Brothers, Paramount, Lionsgate, Annapurna, and Disney’s 20th Century Fox and Fox Searchlight divisions. They can now deliver around 40 first-run movies in a year on the same day/date release as commercial theaters. Variety in 2016 announces Sean Parker’s ‘Revolutionary’ Screening Room venture. While some directors supported the concept, others did not. And anyway, he didn’t need directors to support it…he needed studios. But that support did not come. With this stunning success, Rosen is feeling good about their progress to date. “I feel pretty comfortable that we can gain more studio partners,” he told the Times. How big is this market? According to the report, more than 46,000 Americans have an annual income over $2 million. Still, the Red Carpet execs say they are not interested in getting big. “We’re not even looking for 10,000 people,” Rosen said. With around 4,000 customers, Red Carpet will generate around $300 million in annual revenue, according to their forecast. Notice how in two of the highlighted comments above by Fred Rosen, he mentions the term “disruption” and “disruptive”? This is a clear slam at the previous “tech” industry attempts to convince Hollywood to go down this path. Technology wasn’t the problem, the problem was that the business we in tech attempted to disrupt is Hollywood’s prime business model. The studio’s themselves would bear the brunt of such disruption. It is easy to see how Red Carpet has taken the opposite approach with studios, assuaging their fears about privacy (studios keep control), positioning the brand as a tiny niche market (no disruption to current business), showing them how whatever commissions are generated are “plus” dollars (small but additive revenues for the studio)…not dollars taken away from existing movie theater partnerships. Really, what Red Carpet is doing is providing a master class in marketing…structuring an offer that will appeal to the supplier (studios who hold all the content) while providing a solution to a consumer market segment that just doesn’t exist from any other source. Still, Hollywood is staying pretty low key on Red Carpet. The Times reached out to their already-signed studio partners, but were a little surprised that none would comment for the story. They also tried to interview other potential studio partners, such as Universal, Sony Pictures, and Disney’s other labels – all current holdouts on Red Carpet. But they all refused to comment. Same with theater owners, most of whom also declined the reporters offer to comment. Although the Times said that Adam Aron, chief executive of AMC Entertainment told them, “I have no take on that.” According to the Times, Aron never passes up an attempt to criticize other start-ups…so that neutral comment was viewed as a somewhat positive position on Red Carpet. I don’t know…this solution, so oriented towards addressing studio concerns while offering something new to (wealthy) consumers, seems smart. I think they just might pull it off…if they can truly find 4,000 people willing to pay $3,000 to have first-run movies in their homes. That part of the equation has yet to be validated. Learn more about Red Carpet Home Cinema at: www.redcarpethomecinema.com. I’ve thought for a long time that theaters should be moving to smaller rooms and having a lot more selection of new and older movies. The hardware investment is a lot less than it used to be. I would think a lot of more average people would like the idea of going to see a movie in more of a rent-a-home-theater type of setting. Most people won’t ever want to spend 20k or more on equipment but what if you took a storefront, built some nice home theaters in it, and rented them for groups? Let them bring their own disks or use their own Netflix or amazon accounts so there’s not a problem with movie rights. I’d think it’d be awesome for big sporting or PPV type events. It would be a natural extension for any remaining HiFi/home theater shops.